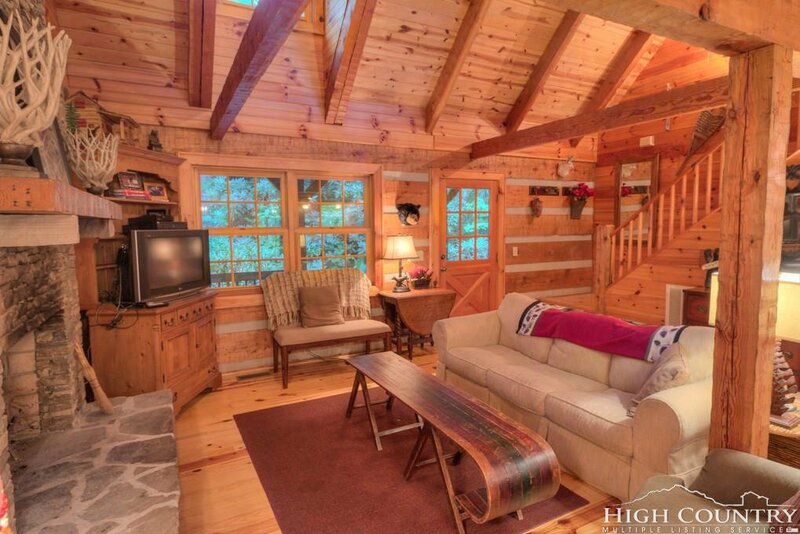 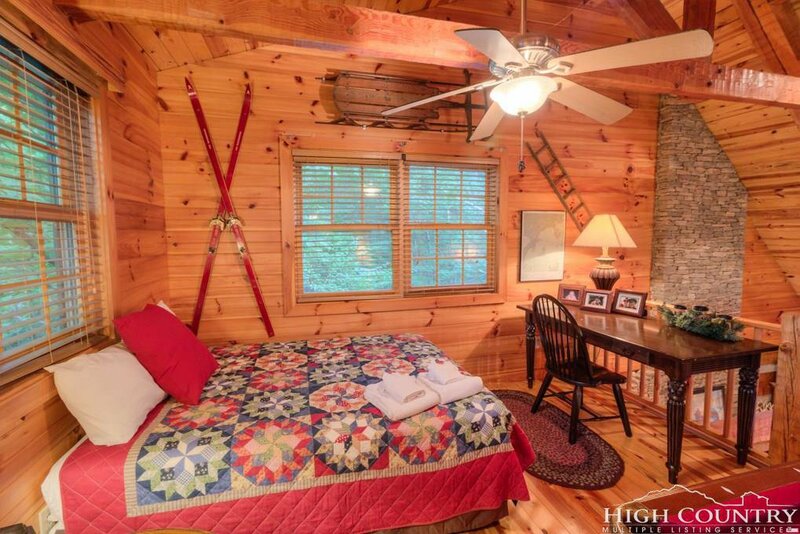 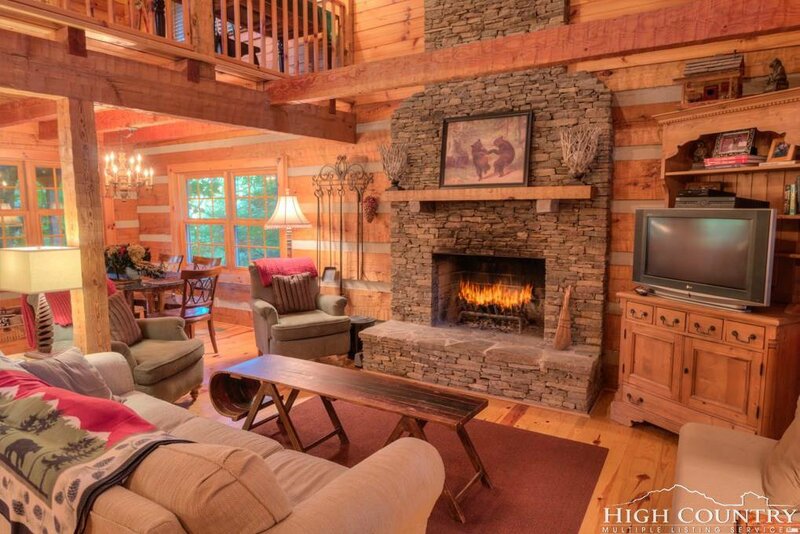 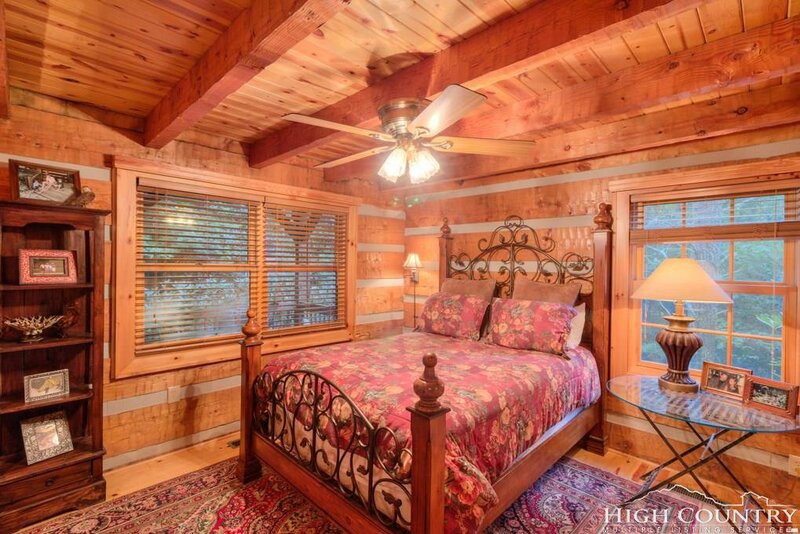 This is that lovely cabin in the Mountains you dream about! 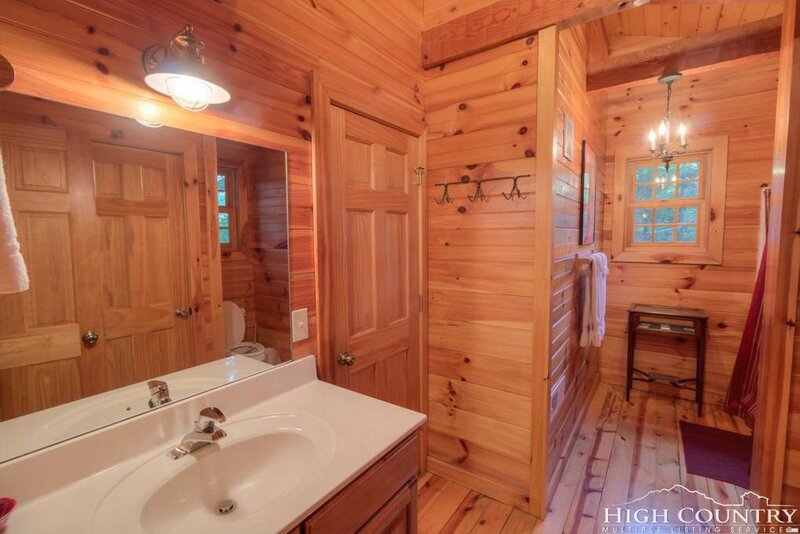 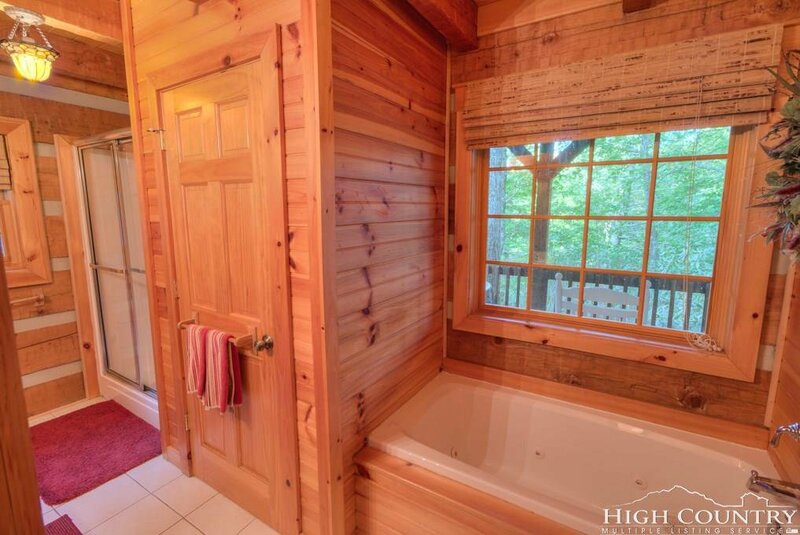 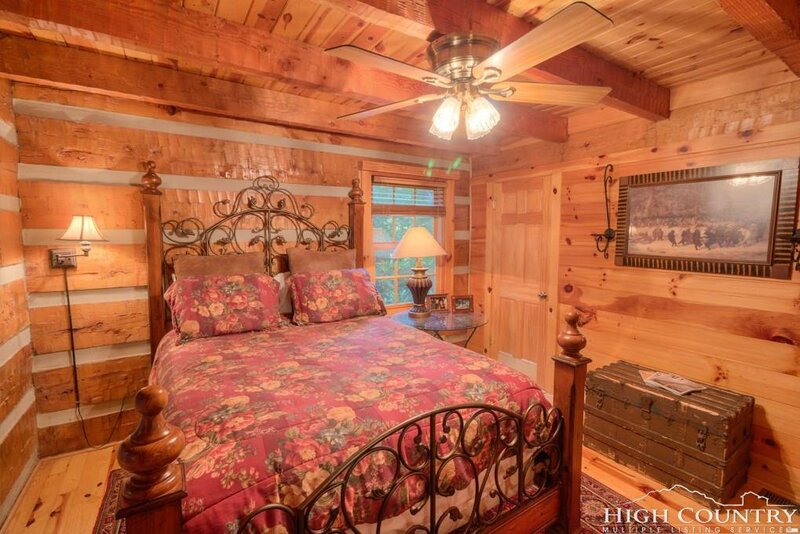 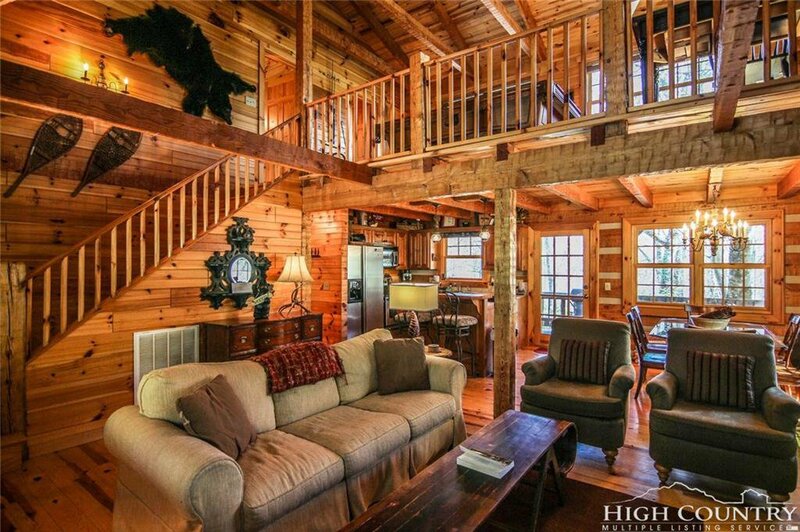 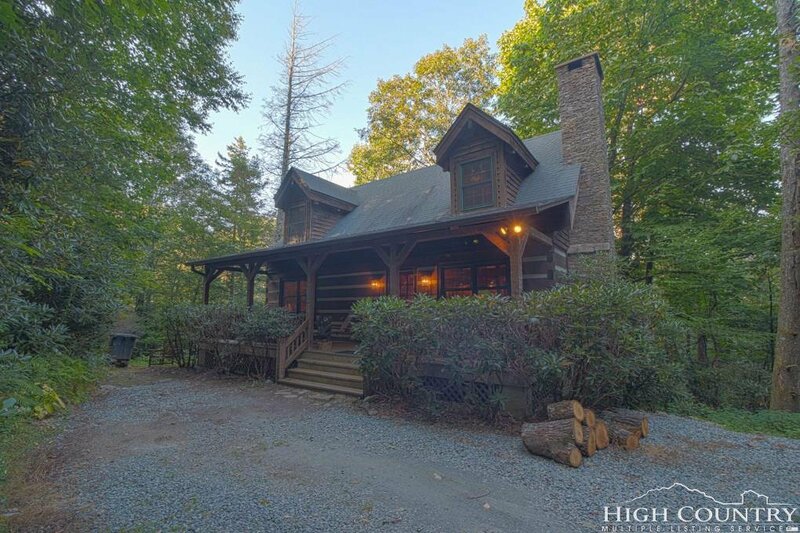 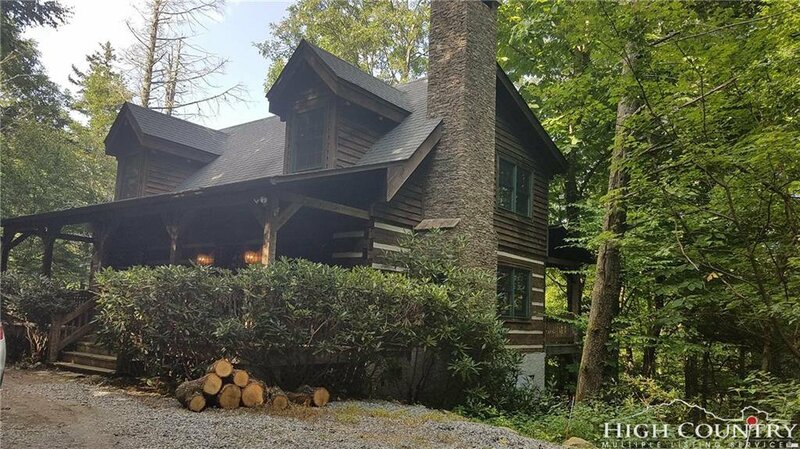 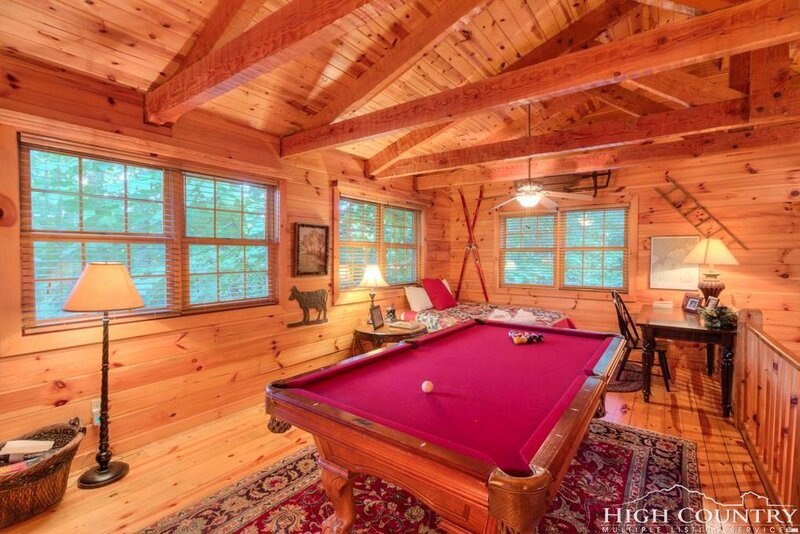 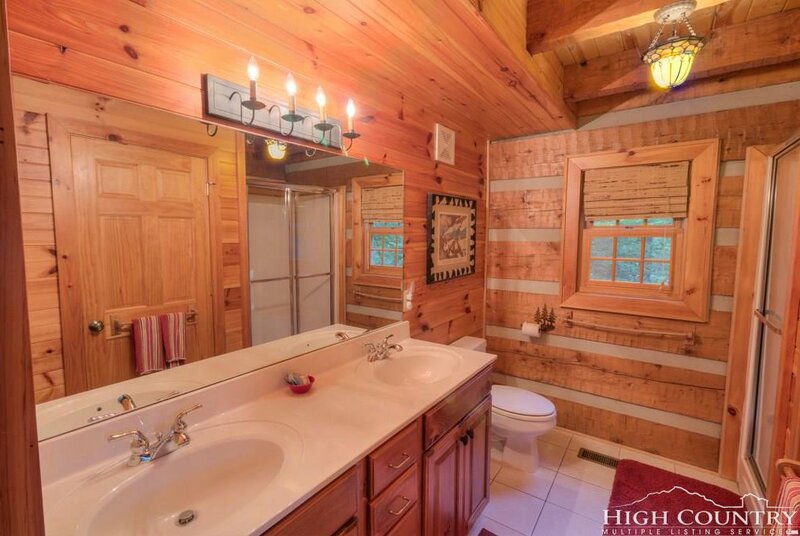 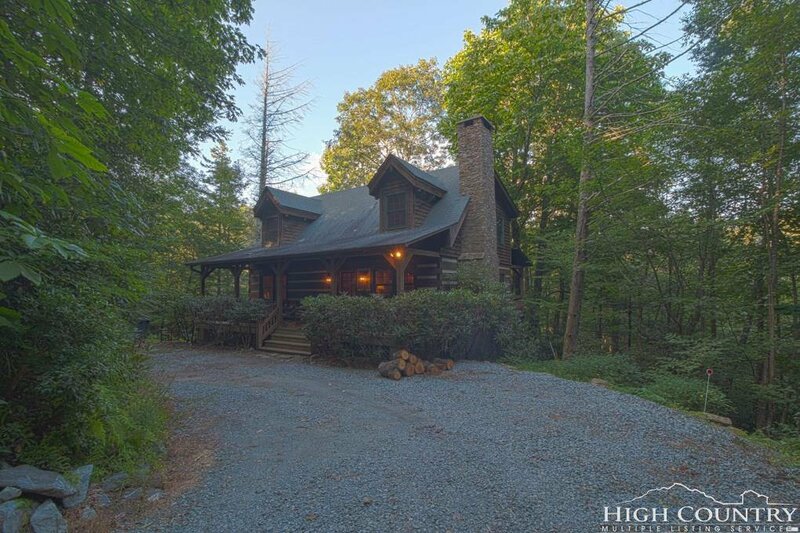 Located in a quiet development outside of Blowing Rock, NC, this home offers privacy with the sounds of two nearby creeks. 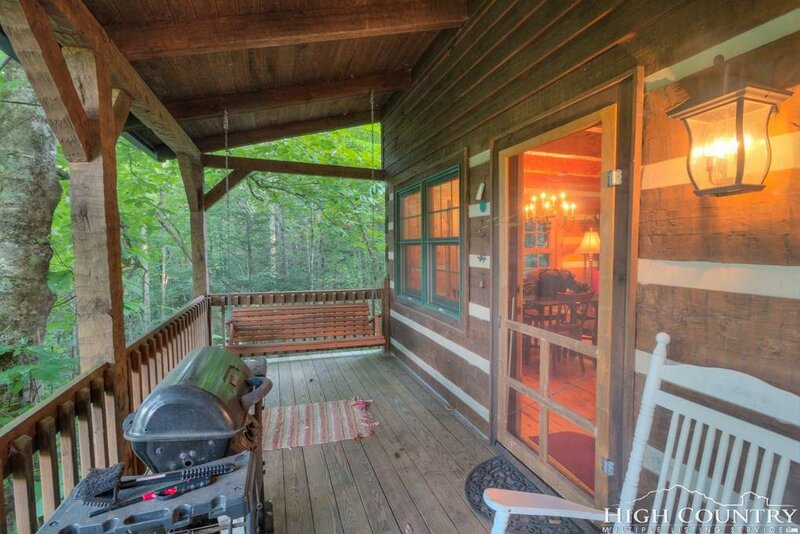 Enjoy the outdoors with two large rocking chair porches. 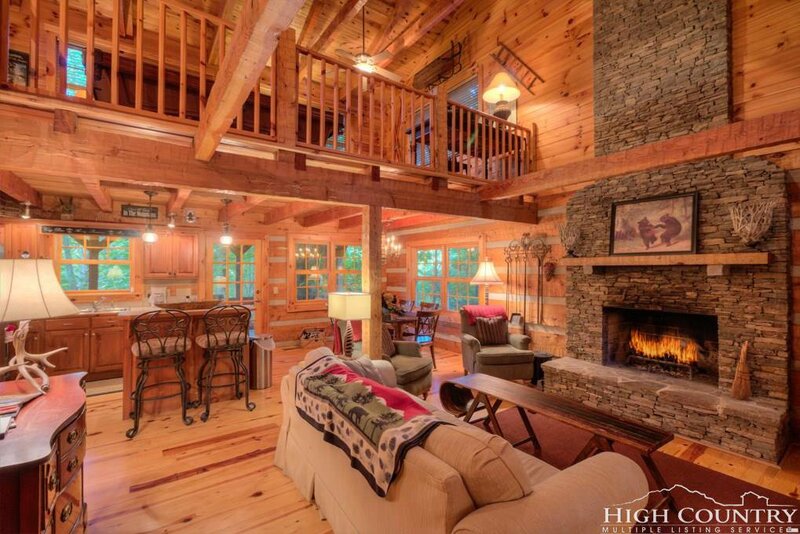 The main floor has an open floor plan with vaulted ceilings and a floor to ceiling stacked stone fireplace. 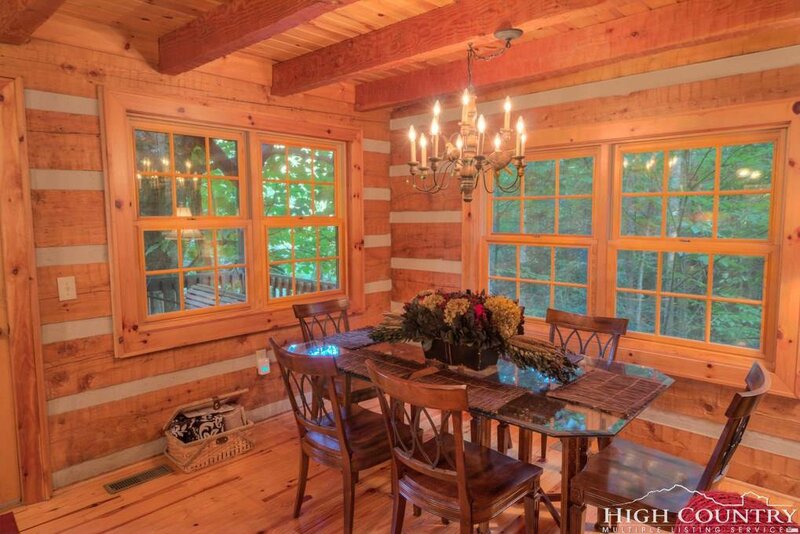 The kitchen and large dining area are open to the living room, creating an inviting space. 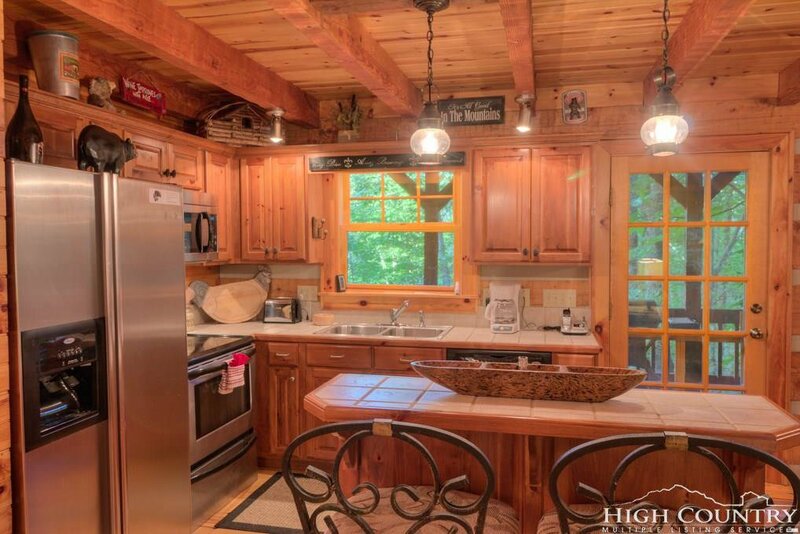 The kitchen features newer stainless steel appliances. 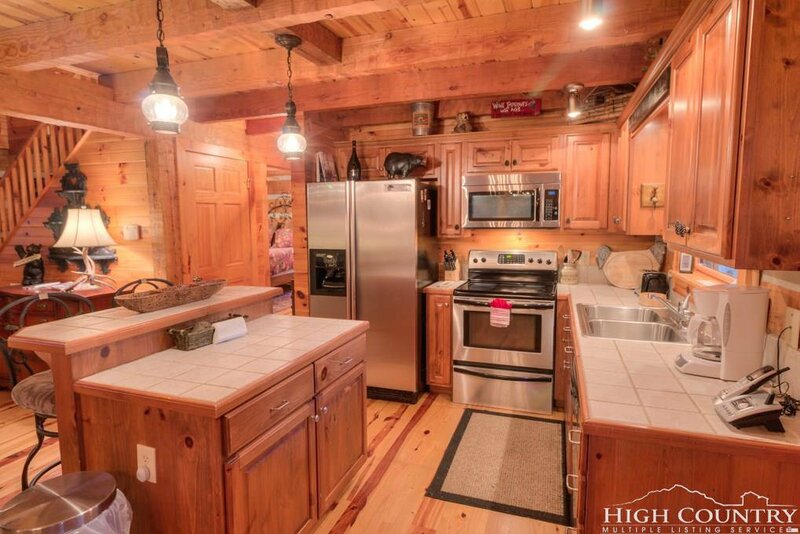 Master is on the main floor, as is the stack washer and dryer. 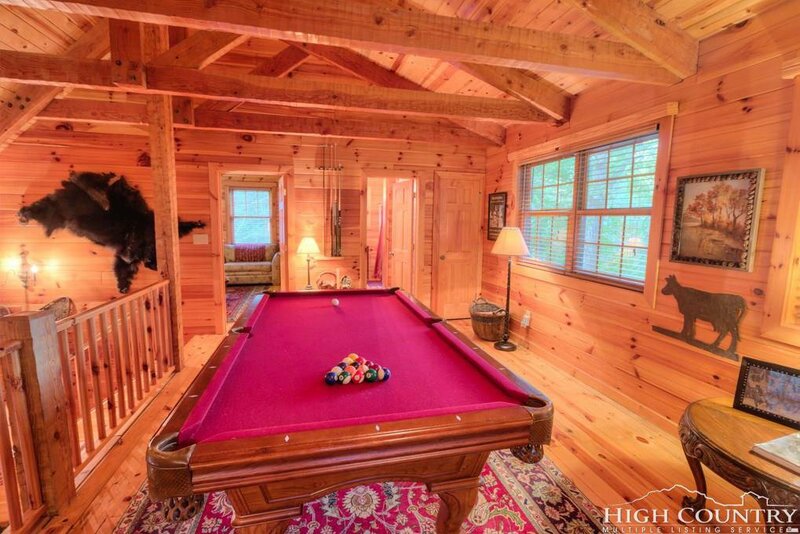 Upstairs is a very large loft with large windows that fits both a pool table AND a queen size bed. 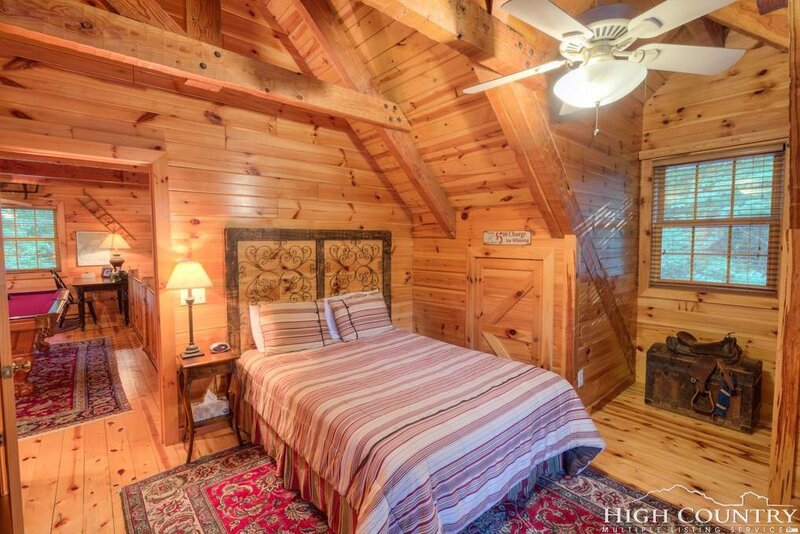 The bedroom upstairs has a dormer window. 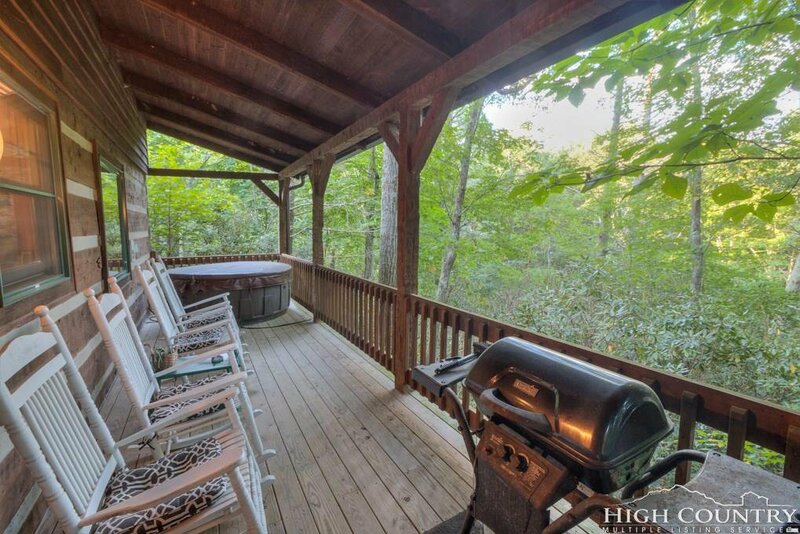 Outside there is a hot tub on the back deck. 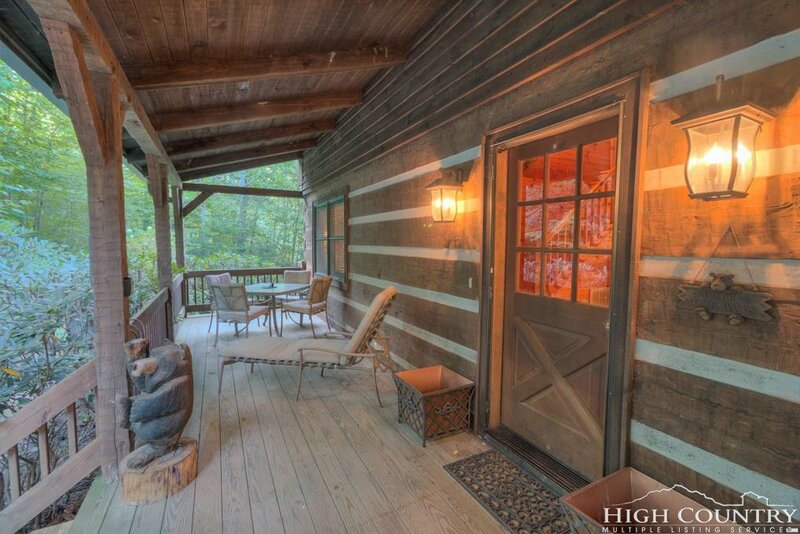 There is a great spot for a firepit just to the left of the home. 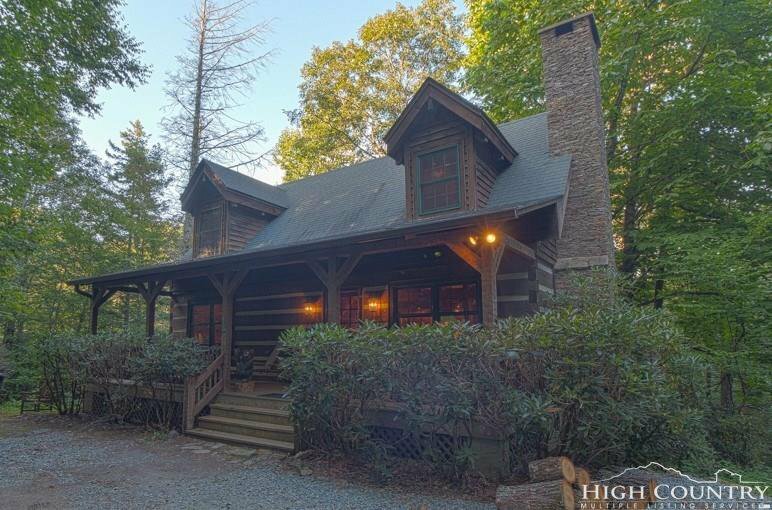 This great home has been in a rental program and a rental history is available. 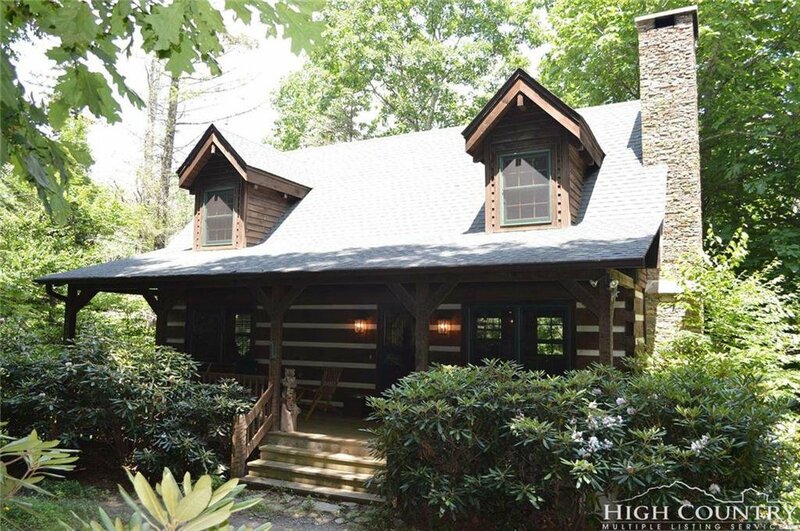 Owners are NC Licensed Real Estate Brokers.